Change. I crave it when it comes to decorating in our home. I love to change out wall decor, change our mantle seasonally and even like painting a room now and then, just for a fresh look. So much of this change can be done inexpensively. I love to create things on my own or even find things on Craigslist.com or Facebook sale pages. This month I am working on doing some updating in my living room. 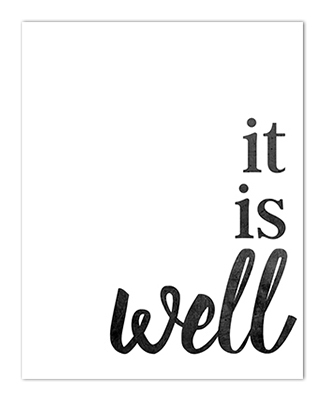 I created the It Is Well With My Soul Printable Home Decor Signs for one of my walls. 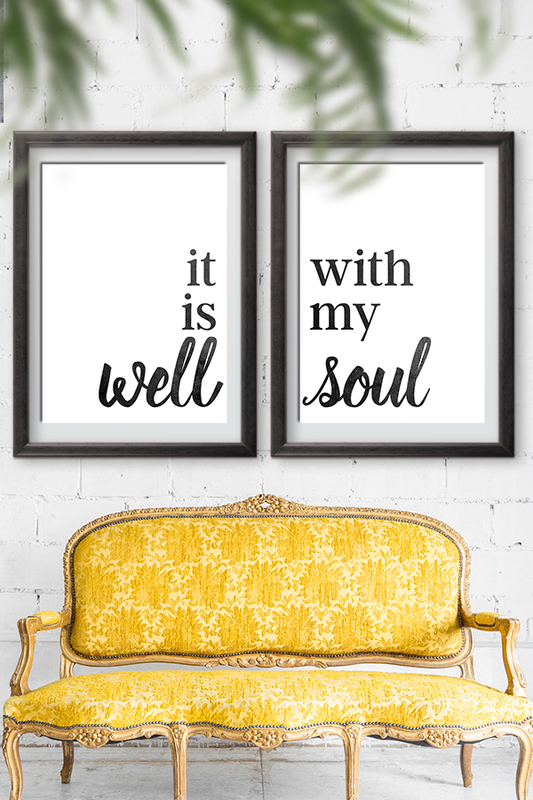 It would be easy to print an oversized print of the signs and hang them in my favorite frames. Instead, I decided to create a large wood sign using the exact print. I simply traced the letters on to my wood sign and hand painted the text. See how quick, easy and simple it can be to make updates to your home decor? 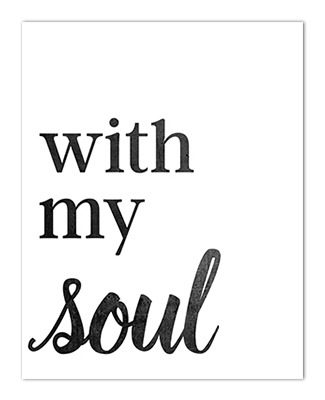 These signs would look great in the master bedroom above a headboard, perfect in a half-bath or even fabulous on a living room wall! 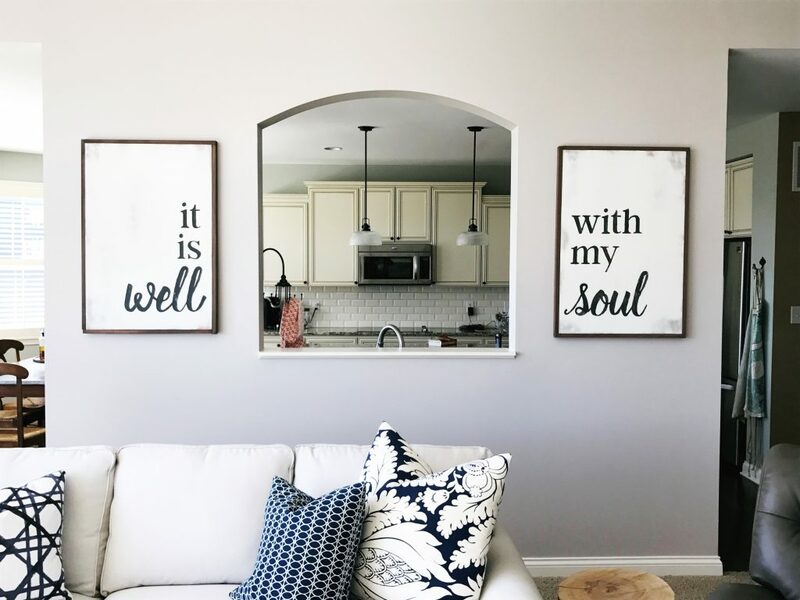 Want some other ideas for home decor signs? Check out the many decorative signs here on the blog. How many inches are your letters? Would love to do this, but can’t get it to print out.. The tallest letter of the print font is 5″ and the tallest letter of the script font is 9″. Hope that helps!